Bethels Agomuoh is a Nigerian born actor/director with a wealth of experience spanning over twenty years. He is one of the few people who braced the uncertain future to venture into making an afro-centric movie in the USA. His first movie “A mile to Cannan” was one of the first Nollywood movies set in the United States of America. His passion for the propagation and upliftment of the African film industry inspired him to build one of the first websites to ever distribute and market what has today become Nollywood movies. He is the President and CEO of AfricaMovies.com; an on-line movie distribution outfit catering to Nollywood. 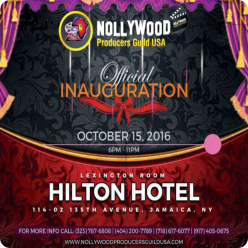 Because of his constant promotion of the African movie industry in the Diaspora, Nollywood has today gained popularity and recognition in the USA. Bethels Agomuoh is one of the founding fathers and president of the United African Artiste; a not for profit organization catering to the affairs of the African artiste in Diaspora. Bethels not only directs, he also doubles as a script consultant in most of the movies that he has been involved in and more. Some of his film credits include; A Mile to Cannan, This America, “on the run again”, “In a stranger’s arm”, “Tears of my joy”, “Unguarded, Tobi”. 2013 NAFCA AWARDS – Best Cinematography; (On the run again.